We wish to welcome you to Portugal and to this website, CANOESPRINTPORTUGAL, where you can get all the information about the upcoming and past canoe Sprint events that took and willl take place in Portugal. Finally, after decades of persistence, Portugal lived up to its odd conditions for canoeing and the lovers of our modality can already count on a course endowed of the necessary conditions and infrastructure to welcome international events. The European under-23 and junior were the world premiere of canoeing in this course, that in 2013 received also one of the best European Canoe Sprint Senior Championships ever. In 2015 we started also hosting ICF events, with a World Cup in may and in july the World Championships Junior & U23 and we even hosted the masters World Championships in the same here. Back in 2016 we hosted our second world cup and the 7th World University Championships, in partnership with FISU and FADU. In 2017 we hosted our 3rd world Cup(2015 and 2016) in Canoe Sprint that was also the first world event of this discipline after Rio 2016 and marked the beginning of the new Olympic Cycle Tokyo 2020. Now we are getting close to the real deal and in 2018 we will host, for the first time in Portuguese history, the seniors World Championships, along with Paracanoe worlds also. The beautiful and hospitable town Montemor-o-Velho, 130km from Porto, 230km from Lisbon only 25km from Coimbra and 18 from Figueira Da Foz, is the chosen place once more. The city of students Coimbra or the beach city of Figueira da Foz are the two cities able to host most of the delegations that we are happy to receive. It is in Montemor-o-Velho under the gaze of the ancient castle that the Portuguese National team has evolved in the last few years and that formations from all over the world come to prepare for major competitions. We are blessed with sun almost all year around, a mouthwatering gastronomy, hospitality like no other and a tremendous desire to show everything that makes Portugal a country loved and appreciated in the world. 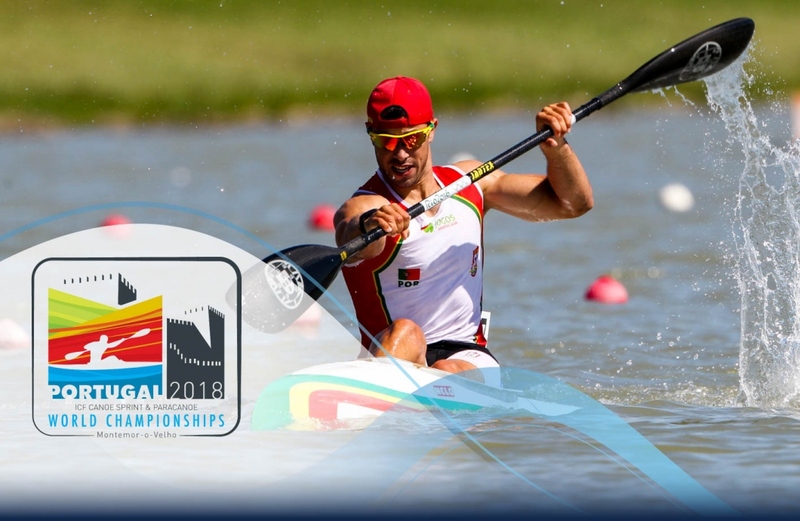 Although small and far from having financial and human resources desired the Portuguese Canoe Federation will do its best to make your experience in our country is unforgettable and that you will be left with a wish of returning. We count on you! Count on us! The Portuguese Canoe Federation and the city hall of Montemor-o-Velho and with the support of the Portuguese goverment presents Bid for 2023 ICF Canoe Sprint World Championships. Already to be defined in the Canoe Sprint and Paracanoe World Championships 2018, which involves 66 countries and will take place at the Montemor-o-Velho High Performance Center, from 22 to 26 August. At this moment, all the canoists know who will have next to the line of departure in the respective competitions.